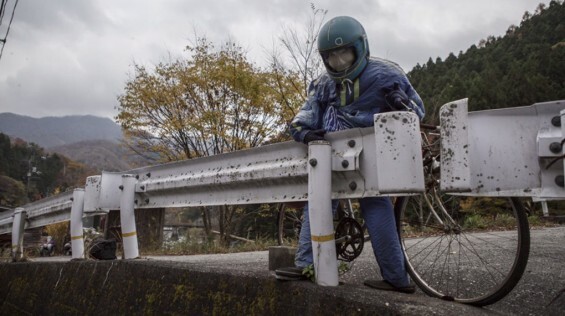 I have to file the story of Ayano Tsukimi and the ghost town of Nagoro under the 'sweet but creepy' catalogue. Nagoro is a small village located in the valley of Shikoku, Japan. Once vibrant with business and families, over time, the village population has dwindled as its residents seek out job opportunities in larger cities. 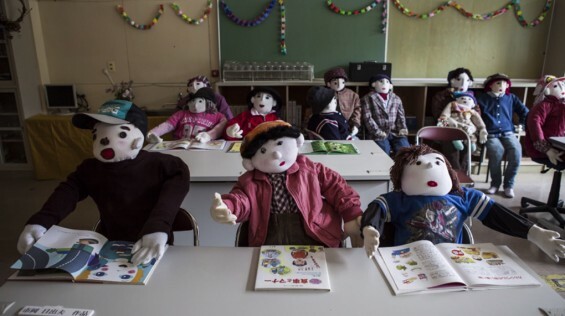 65-year-old Ayano Tsukimi, a Japanese artist, took it upon herself to create hundreds of large dolls and placed them strategically throughout the village to represent those who have passed away or left the city. 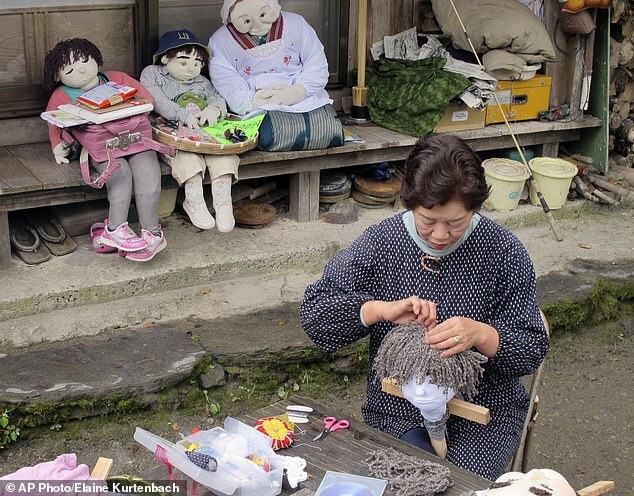 There are currently only 35 residents left in Nagoro and they are outnumbered three to one by the dolls made by Tsukimi. See what I mean? It is doubly heartbreaking and creepy as hell. She's obviously a sweet woman with a kind heart and a love and respect for her home and people, but I mean, take a look at some of these dolls just chilling in a classroom or lurking in the bushes. Tsukimi says the dolls bring back memories for her. She refers to an old lady doll representing a woman who used to come and chat with her and drink tea and an old man doll as a man who used to drink sake and tell stories. Being that there are only 35 residents left in the town, most of them elderly, there are no youth to raise, thus no need for an elementary school. 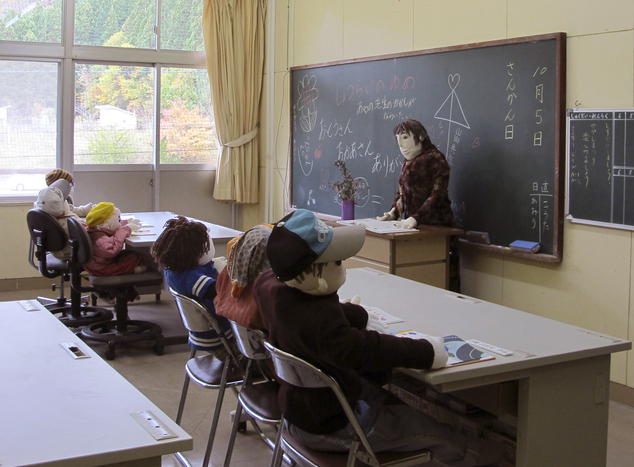 Tsukimi has filled the abandoned school with doll replicas of young children and their teachers. 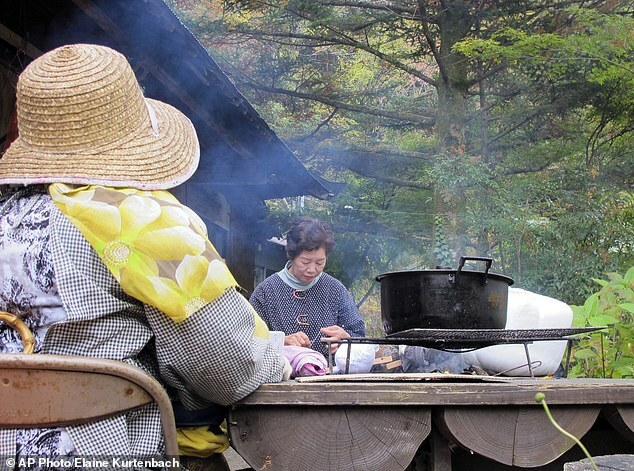 Tsukimi returned to her hometown of Naguro initially to take care of her ailing 85 year old father. She tried her hand at farming when she first moved back. After discovering her radishes had been destroyed by crows, she built her first scarecrow to keep them away. 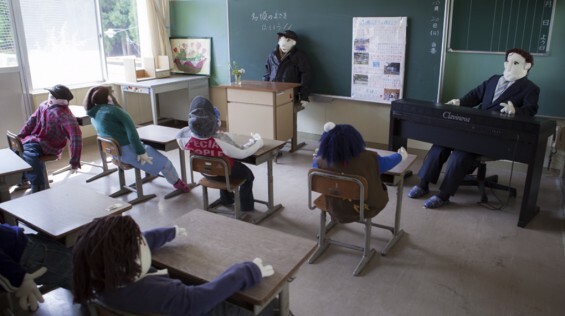 It takes a lot of time, effort, and precision to create these dolls/scarecrows/mannequins, but I guess when you live in a desolate village, what else are you really going to do with your time? Tsukimi even brings one doll along with her on her 90 minute drive to the next nearest big town to buy groceries. 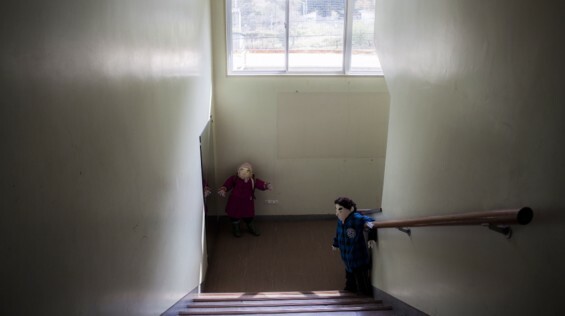 Fritz Schumann made a documentary on Tsukimi which can be seen here: https://vimeo.com/92453765 in which Tsukimi refers to the dolls as "her children." In a way though, Tsukimi's wish for acknowledgement of her little village has been granted due to her creativity and talents. 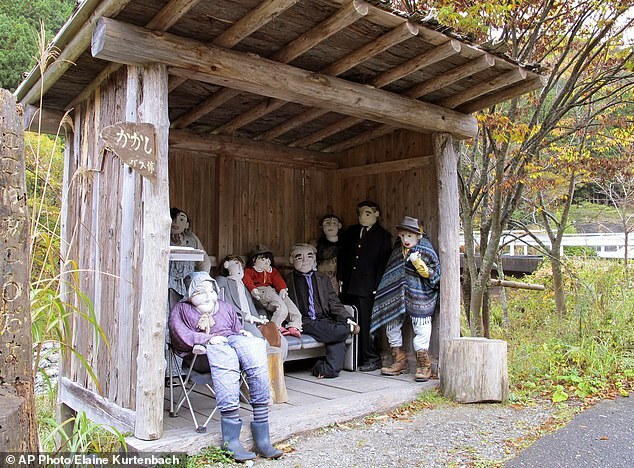 Now tourists stop through the village of Nagoro to take pictures and marvel at all of the dolls strategically placed around the village when before they would've passed right by. The vigor and vitality of Nagoro may never be the same as it used to be, but at least Tsukimi has kept them on the map and brought curiosity and interest to her village due to her unique and creepy hobby. After all, a 28 year old in southern Virginia is writing an entire blog post about her. Tip of the hat to you, creepy and sweet Ms. Tsukimi.